After their previous win against Longford, the Wexford u-20 footballers have set up a mouth-watering tie, which will take place this Saturday in Wexford Park. On Saturday (June 16th), the young Model men will welcome Dublin to the Sunny South East for a 2pm throw-in, in what is a must-win battle for Wexford. But, despite the interest surrounding the tie, there’s one ridiculous rule that serves to diminish the potential cracker between the two sides. 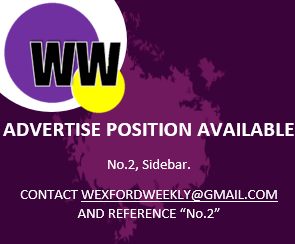 Former Wexford hurler Andrew Shore stated that the GAA were “losing their minds” with the newly incorporated rule that disallows u-20 players to play again with their age group, once they have played with the inter-county Seniors. One player, in particular, Barry O’Connor, who came on as a sub in Wexford’s loss to Waterford, is now ruled out of Wexford’s u-20 clash against Dublin on Saturday. O’Connor, who is one of Wexford’s finest young players will be a huge loss for the Wexford side, who need a win to qualify to the next stages. A win against Dublin would be difficult enough without losing your best players, and according to former Wexford hurler Andrew Shore, it’s unjustifiable punishment for making the Senior grade. “Playing Senior for your county is a dream of any young player, and if they make it they are then punished and can’t play for their u-20 side,” Shore stated. In comparison, their opponents Dublin haven’t lost any players from their u-20 panel for the Wexford clash, because as we are well aware of, the strength of their Senior set-up means they don’t have to take any of their younger, u-20 players. The rule won’t be changed before this weekend, and Wexford will have to make do with what they’ve got. But, there comes a time when questions have to be asked, and more so, questions have to be answered by those who brought in this new GAA rule.